Safety is cited as the No. 1 concern among all sectors of the natural gas industry (upstream, midstream, downstream, and additional stakeholders), according to Black and Veatch’s most recent report on the U.S. natural gas industry. Distribution utilities, pipeline companies, and regulators are confronted with aging infrastructure that is slowly failing, often with catastrophic consequences. Wear and tear due to corrosion, damage, and stress can be difficult to diagnose given that pipelines are buried under ground and are not visible to inspectors. While technology exists to assess the strength of most of the 2.6 million miles of gas and liquid transportation pipelines in the U.S. (93 percent of which are used to transport natural gas), some areas are unreachable due to the design and construction of the lines. Additionally, as recent gas pipeline safety cases have demonstrated, records that vastly predate computerized data storage and organization are sometimes inaccurate. This leaves a growing industry with a glaring Achilles heel. Four years ago the startling rupture of PG&E’s gas transmission Line 132 in San Bruno, Calif., took the lives of eight residents, injured 58 people, leveled 38 homes, and damaged 70 more. The tragic accident made national news and left many people wondering how such a large pipeline in the middle of a residential neighborhood could suddenly and inexplicable explode. Pictures of the 72-foot-long and 26-foot-wide crater looked more at home on a Hollywood movie set than in a quiet, suburban neighborhood. The pipeline, put into service in 1948, became the blueprint for aging infrastructure that was not subject to pressure testing requirements of newer pipelines due to age exemptions, and whose as-built drawings did not match its actual construction. Specifically, Line 132 was inaccurately recorded as a seamless steel pipe when in fact it was a longitudinally seam-welded pipe. Accurate record keeping is considered an important part of establishing valid maximum allowable operating pressures (MAOP) for all pipelines. Since the San Bruno accident, the California Public Utilities Commission (CPUC), PG&E, and other California gas utilities have worked diligently to design and implement new, stringent standards set by the CPUC to prevent another devastating event. Specifically, on June 9, 2011, the CPUC issued a decision that ordered all California natural gas transmission operators to design a plan to test or replace all transmission lines that had not been pressure tested and to present this plan to the CPUC for approval. This order stemmed in part from PG&E’s difficulty locating pressure-testing records for 152 miles of its total 1,805 of transmission pipeline, approximately 8 percent of its system. As of April 2014, PG&E has hydrostatically tested over 565 miles of its pipeline system, and it has replaced close to 90 miles of pipe. 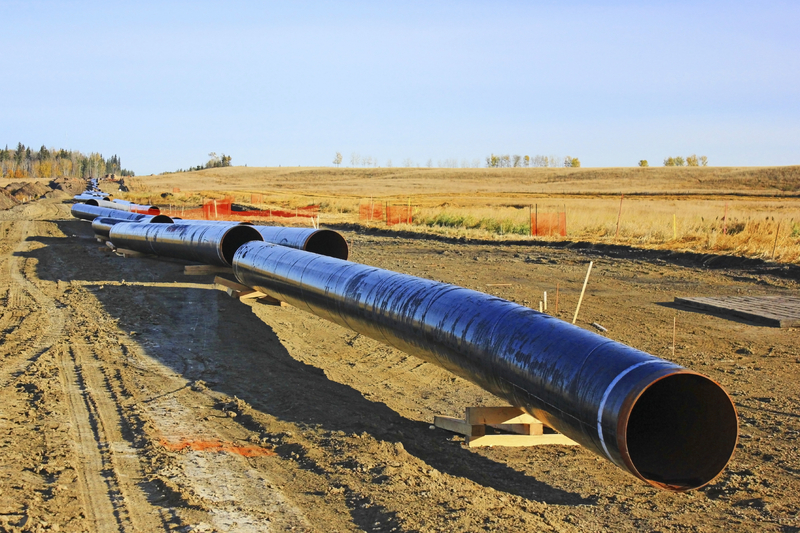 The remaining California utilities are also implementing their pipeline safety plans. Next week I’ll continue this post by looking at federal measures for pipeline safety since the San Bruno tragedy. CPUC Decision 11-06-017, June 9, 2011, page 26. Status Report on NTSB Recommendations to the CPUC, August 2014. This entry was posted in Natural Gas and tagged Gas Pipelines, Natural Gas Explosion, Natural gas industry, Pipeline Safety. Bookmark the permalink.